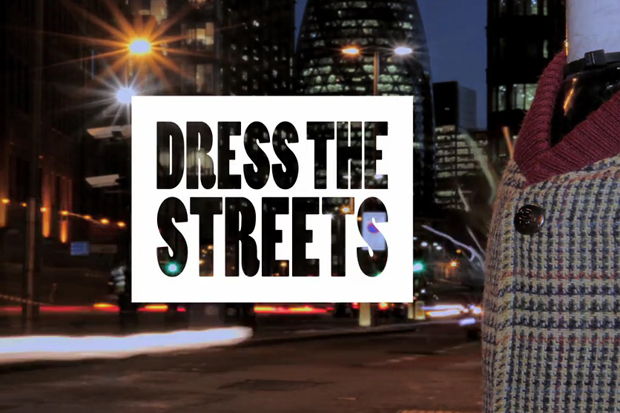 Bespoke, tailor made streetwear brand House of Billiam kick off their ‘Dress the Streets’ video series with this short, interesting video, where the lamposts get measured up for their own House of Billiam staple garment – the varsity jacket. For those unfamiliar with House of Billiam, they offer a bespoke service that initially gained recognition with their tailor made varsity jackets, where the focus is placed on the customer and the fashion house, nothing else. Aside from the varsity jackets, they produce t-shirts, knitted sweaters, trousers, scarves and even leather jackets. In this short video we get a brief insight into the way that they work and how they put a garment together. Sure, here we see them making jackets for lamposts, but the selection of materials and the application of buttons and linings remains the same in principal. This short video also comes with the mention of a brand new website for House of Billiam, which contains a Nike iD style section where you can design and order your own bespoke varsity jacket right at the click of a button. Prices do vary due to material selection and that sort of thing, but if you ask me, paying that bit extra for a personally designed and high quality varsity jacket is worth it. Check out the brand new House of Billiam website, and check the new short film below.